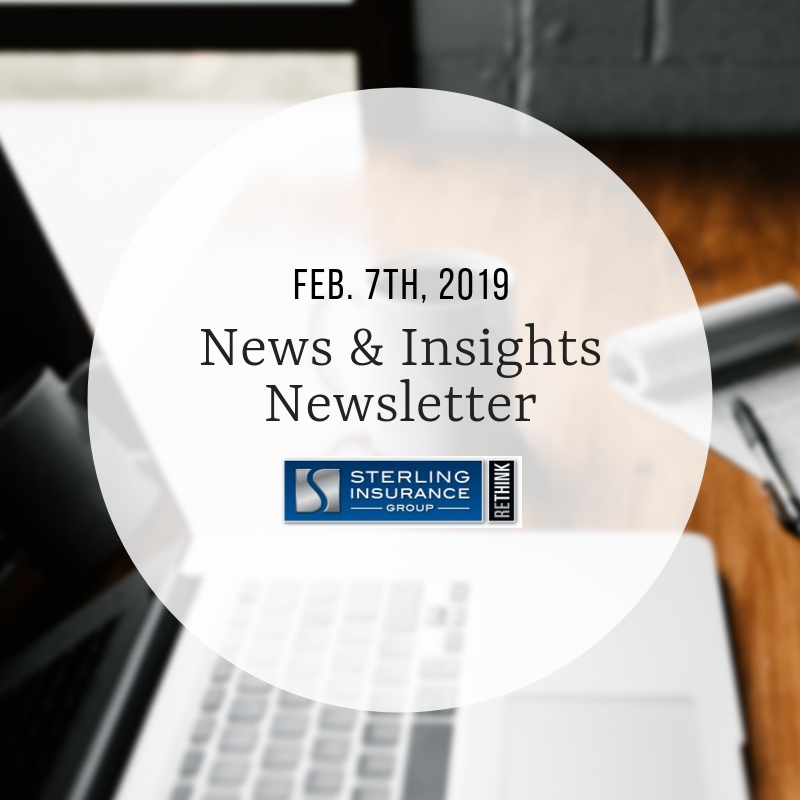 This newsletter was sent to Sterling Insurance Group clients and friends on Thursday, Feb. 7th, 2019. Want to get this bi-weekly newsletter in your inbox? Email jgiffels@sterlingagency.com today to be added to our mail list. Sterling Insurance Group has published its Risk & Business magazine! The magazine features articles written by each of the agency’s commercial insurance and employee benefit producers, as well as the firm’s two principals.Article topics were hand-selected to cover timely, important topics in the insurance world; including marijuana in the workplace, talent and recruiting tips for 2019 and more. Now on the blog: D&O Insurance for Nonprofits. Learn why nonprofits especially need to consider D&O insurance. Did you miss Sterling’s latest event Don’t Get Left in the Smoke: Marijuana in the Michigan Workplace? Not to worry. View the entire presentation on Sterling’s site. Together with Auto-Owners Insurance, Sterling Insurance Group recently produced a 30-second commercial highlighting our unique, effective approach to risk management and business insurance. If you live in Southeast Michigan, you may just see the ad soon. View the full commercial now. In the Community: Sterling was proud to lead a discussion regarding Captive Insurance options at a recent Michigan CPA (MICPA) event in Warren, MI. View photos from the great event. Could a captive be the right fit your business insurance or employee benefits strategy? Find out.